What Does The Best Bond Cleaning In South Brisbane Cover? Finding and selecting reliable house cleaning in South Brisbane is not easy. The most common questions we get asked by people like yourself have been collated below to assist you in making a smart decision. 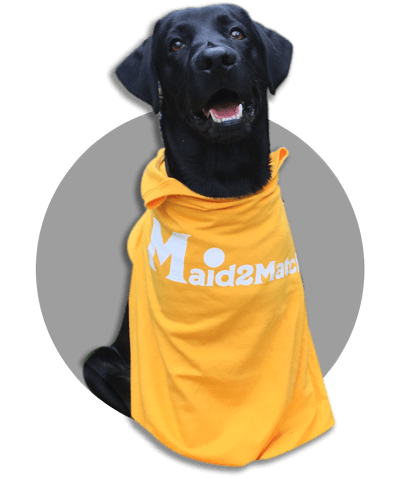 WHY ARE MAID2MATCH SOUTH BRISBANE’S BEST AT VACATE CLEANING? The truth is great bond cleaners possess a different skill set than regular house cleaners and therefore requires specific experience, dedication, and a first-class cleaning checklist. At Maid2Match, we personally vet all our cleaners, after having them complete a three-part application form. We provide extensive support and have crafted the most effective bond cleaning checklist you’ll find. Contact Maid2Match today for your Brisbane vacate cleaning. South Brisbane is an inner Brisbane suburb that’s located on Brisbane River’s southern shore. The CBD and South Brisbane are connected through three bridges: Kurilpa, Victoria, and Goodwill. There’s plenty of public transportation here that links this suburb to its neighbours and other cities, including various train stations and CityCat ferry rides. South Brisbane is famous for its many heritage listings. In South Bank Parklands, you can see Allgas Building, Byanda, Nepal Peace Pagoda and Plough Inn. There are also the thought-inspiring William Jolly Bridge and Queensland Cultural Centre on Grey Street, along with the South Brisbane railway station. Other than that, the South Bank Parklands are vastly preferred by tourists. Not only do they have plenty of landmarks, like the Queensland Conservatorium or the Wheel of Brisbane, but they offer lots of restaurants and cafés to weary tourists. If you want to try new restaurants, Grey Street has plenty of those too, along with its inspiring fashion boutiques and South Bank cinema. The Brisbane Convention & Exhibition Centre is the top awarded convention centre in Australia and a truly impressive venue. You can also visit the Queensland Cultural Centre, with its museums, galleries and the State Library.